Since the overwhelming success of his first Cocoon maxi “Vreugdevuur", Egbert Van Der Gugten has proved that he received the advance praise of being one of the most promising talents of the Dutch electronic music scene with good cause. The myspace discovery of Jeroen Verheji aka Secret Cinema had already gained a permanent position in Sven Väth’s record case with his track “Magie” on Michel de Hey’s EC Records, and also “Vreugdevuur” belongs to the most successful releases on Cocoon Recordings this year. Consequently, his follow-up 12″ continues to celebrate the junction between European Progressive House tradition, Detroit melancholy, Tech House with a heart full of pumping Energy and decorative ornaments in a multi-faceted and tremendously charming way. 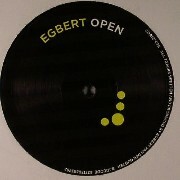 And so, Egbert sets his first exclamation mark with “Open", a sensual Über-Track whose incredibly beautiful break sends one shiver after the other down your spine. “Strak” is similarly vibrating of sonic-electric energy around a percussive staccato of bells and a heartbreaking layer of sound.